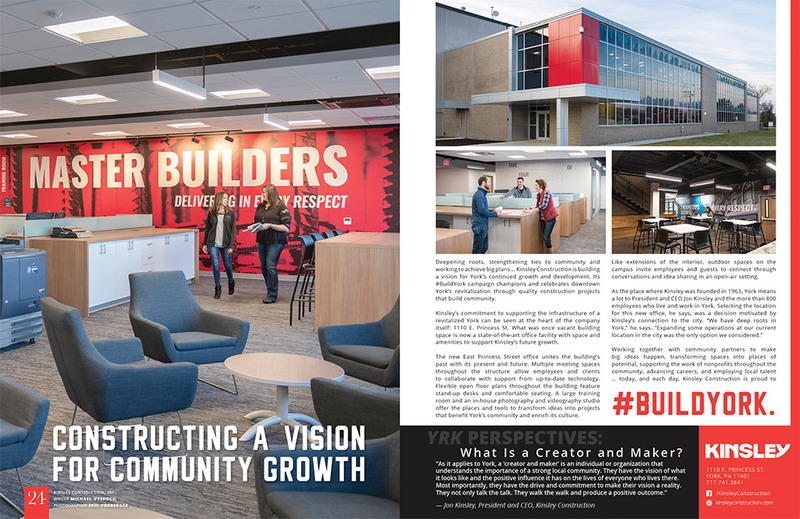 Deepening roots, strengthening ties to community and working to achieve big plans … Kinsley Construction is building a vision for York’s continued growth and development. Its #BuildYork campaign champions and celebrates downtown York’s revitalization through quality construction projects that build community. 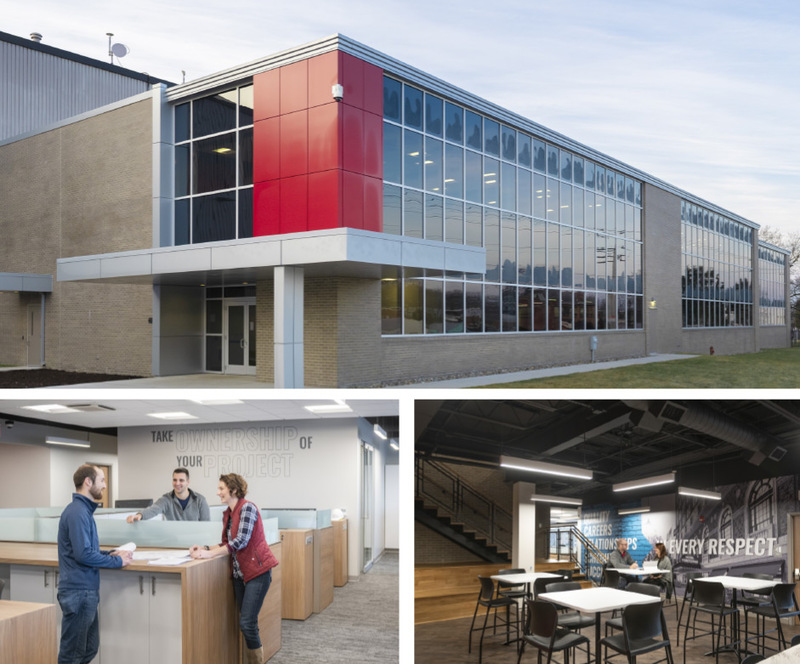 Kinsley’s commitment to supporting the infrastructure of a revitalized York can be seen at the heart of the company itself: 1110 E. Princess St. What was once vacant building space is now a state-of-the-art office facility with space and amenities to support Kinsley’s future growth. The new East Princess Street office unites the building’s past with its present and future. 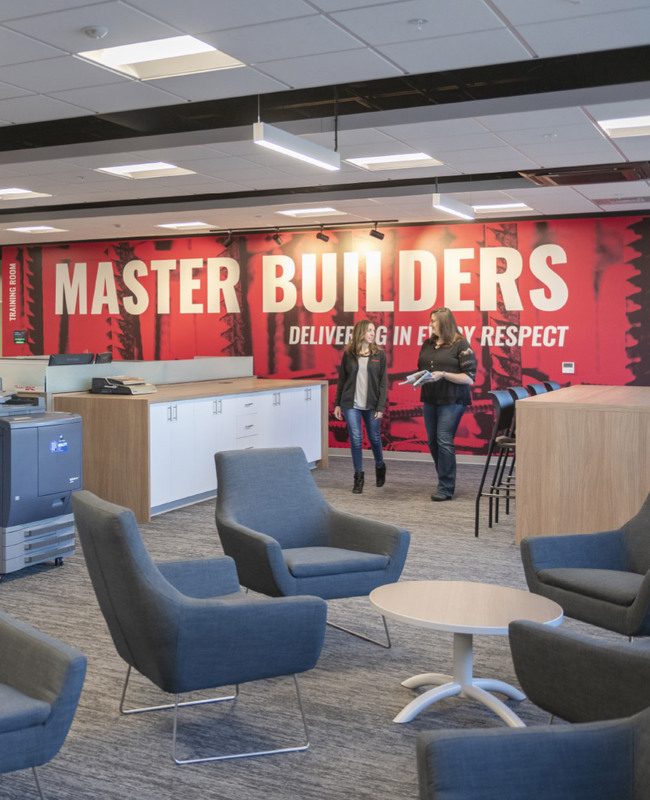 Multiple meeting spaces throughout the structure allow employees and clients to collaborate with support from up-to-date technology. Flexible open floor plans throughout the building feature stand-up desks and comfortable seating. A large training room and an in-house photography and videography studio offer the places and tools to transform ideas into projects that benefit York’s community and enrich its culture. Like extensions of the interior, outdoor spaces on the campus invite employees and guests to connect through conversations and idea sharing in an open-air setting. What Is a Creator and Maker? © 2019 YRK Magazine. All rights reserved.